Ryan's Smashing Life: The Outlaw Roadshow adds The Secret Sisters to our Nashville lineup! 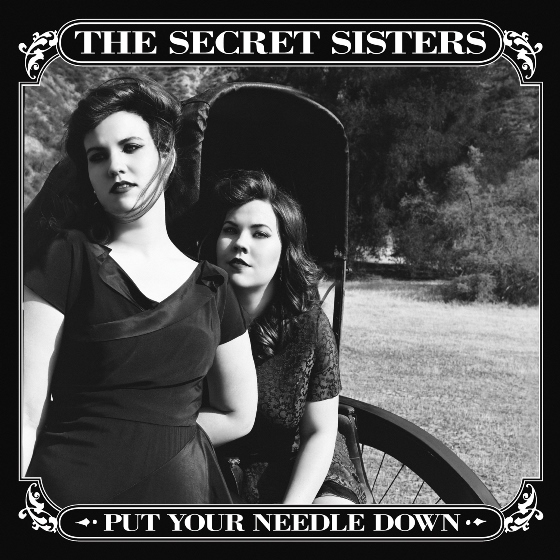 The Outlaw Roadshow adds The Secret Sisters to our Nashville lineup! There are so many thoughts going through my head as we put these Outlaw Roadshow lineups together. Will music fans understand and appreciate our vision? And putting something like this together in a new city with fresh audiences makes for all kinds of excitement. Hailing from the deep south and today making Nashville their home, The Secret Sisters are a true rising star in music. I have been listening to them for weeks now and they're just amazing. Their unique storytelling and mix of what's old and new will intoxicate our audiences on Friday 7/17. Get ready. Growing up surrounded by the sounds of the South and the powerful timeless music emanating from Muscle Shoals, Alabama, The Secret Sisters were heavily influenced by a range of uniquely American musical styles, including country, bluegrass and gospel, as well as classic rock and pop. They were raised on a rich tapestry of music, listening to everything from George Jones and Loretta Lynn, to The Eagles, Fleetwood Mac, The Ramones, Fiona Apple and Rufus Wainwright. But it was their father, a musician himself, who introduced Laura and Lydia to bluegrass at an early age and spent many weekends bringing his daughters to local bluegrass festivals. Advising the duo once again is powerhouse producer T Bone Burnett, whom they previously collaborated with on their debut album. “We became friends with T Bone early on in our career and he’s been guiding us along ever since,” said Lydia. Laura adds, “The beauty of working with T Bone on this new album is that he really understood and found the storyline that was woven throughout all of our songs. I really don’t think this record would be what it is without him.